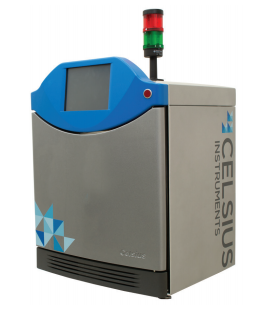 Celsius Instruments' Thermometry Systems provide a non-destructive method of measuring the equalized temperature of frozen and chilled food products. Celsius technology detects and measures the radiation emitted from a product based on its temperature. This technology removes the process of measuring temperature with a probe and provides more accurate and consistent measuring. Each stage of the food manufacturing process involves temperature control, keeping food quality and consumer safety high and waste product low. Celsius is proven to be the most accurate measurement tool available, offering the quickest results throughout the industry and considerable cost savings for your products. Sustainability is the cornerstone for Celsius Instruments, minimizing environmental impact and increasing customer's profitability. Celsius provides a huge savings in wasted products which in turn, implements a sustainable supply chain for your operations. Celsius Instruments is located in Milton Keynes, United Kingdom, but they also have regional offices in the USA, India, China, Brazil and Singapore. Celsius is exclusively supported in Canada by PLAN Automation taking care of sales, service and parts support. Celsius is not an alternative temperature measurement technology but the new gold standard. 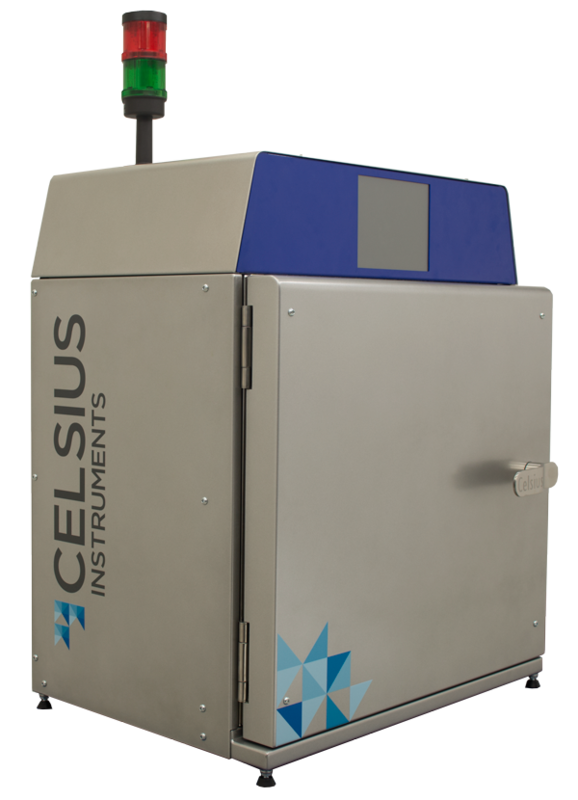 The Celsius Midi is a non-destructive temperature measurement system for a variety of different food products. The Celsius Midi provides reliable measurements for packaged and unpackaged food, mid-line sampling, and end-of-line sampling. The Celsius Midi has external dimensions of approximately 700mm x520 mm x 440mm. Maximum Product Size: 360mm x 360mm x 300mm or 14 1/8" x 14 1/8 x 11 3/4"
The Celsius Maxi uses microwave thermometry to provide the most accurate results with minimum operating skill. The Celsius Maxi has all of the benefits of the Celsius Midi, with the ability to measure bigger products. The Celsius Maxi has external dimensions of approximately 800mm x 680mm x 500mm. Maximum Product Size: 490mm x 540mm x 490mm or 19 1/4" x 21 1/4 x 19 1/4"